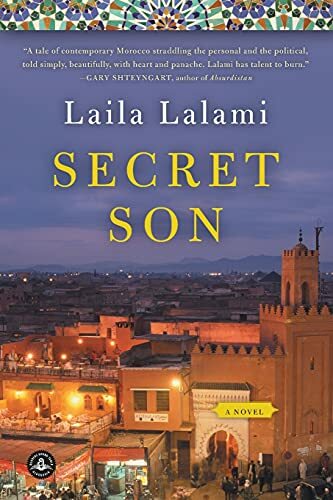 Secret Son, by Laila Lalami. Algonquin Books (2010), Edition: Reprint, Paperback, 320 pages. A touching novel by a Moroccan woman about the dreams and betrayals among the poor and the rich in Casablanca. Laila Lalami is a writer able to convey how a variety of people make choices among the limited options available to them. Here, as in her Hope and Other Dangerous Pursuits, she brings to life a cluster of people living in a Moroccan slum, all seeking ways to escape its dire conditions but choosing to try different paths. While some are drawn into the community formed by an Islamic group, Josephus follows his mother’s advice to get an education. An adolescent growing up alone with his mother in a tiny shack, he bemoans his lack of a father and dreams of a better future. When he learns his father is not dead, as he had been told, he searches him out and finds a wealthy man longing for a son. For a time his father provides Josephus with a comfortable life that was in stark contrast to his that of his childhood. His father, however, faces problems of his own. Josephus finds himself back in the slums. Like other young men he has no hope of finding a job. More hopeless and desperate than ever, he grasps at anything that might give his life meaning. The plot summary does not do justice to this excellent book. Lalami has the ability to make her characters real and to engage us in their lives. I know of no author better able to show what it means to live in a time and place where there are no viable options for a moderately fulfilling life. Unusually, also she writes convincingly about her wealthier characters, who never become symbols of what is wrong with society. Yet Lalami is not a depressing author to read, perhaps because here and there a person finds a meaningful way to live and has the courage to grab it. Or perhaps she believes that by writing she can make a difference in the life’s of people like her characters or reveal the heart of her characters to her readers. I strongly recommend this book to readers interested in Morocco, poverty in third world cities or in why any of us make desperate choices. This is an excellent book, but the author’s The Moor’s Account is even better. It is an account of the Spanish conquest of North America told through the voice of an enslaved Moroccan Muslim. ← Bibliodiversity, by Susan Hawthorne. Yes. This is your kind of book. history from an ignored perspective. And I hope your move is going well. Good Luck.